If you have the choice you must Opt In to BRS, if you don’t care then go back to watching your stories on the TV. You will continue living your unexamined life and not even notice the loss of free money in the form of TSP match if you don’t hit 20 years. You only get a measly 1% of base pay unless you put in 5% of base pay into TSP for them to match it. If the Blended retirement system would save the government money, then they would not have the less than 12 year service limitation for members to switch. The fact they have the limitation shows how much more expensive the new system is to maintain. 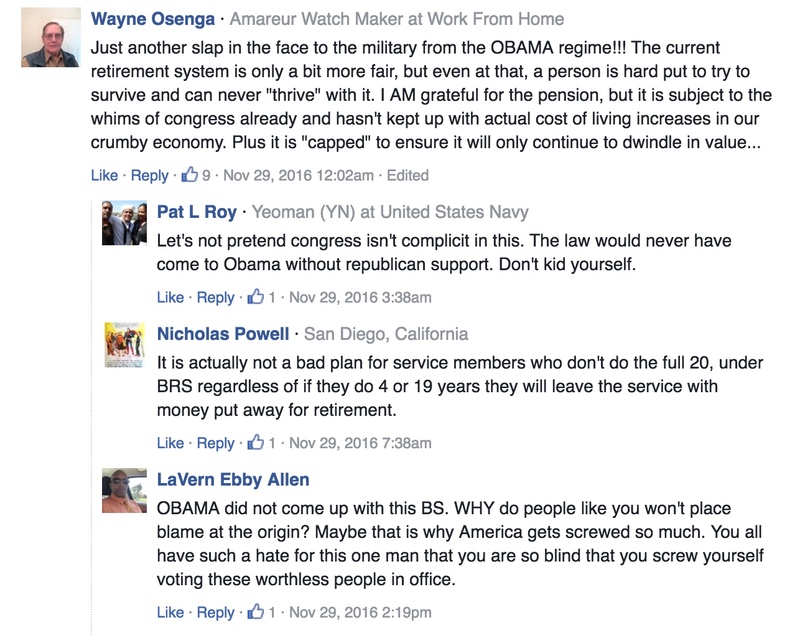 They rather let 83% of service members retire with no money at all by not hitting 20 years. 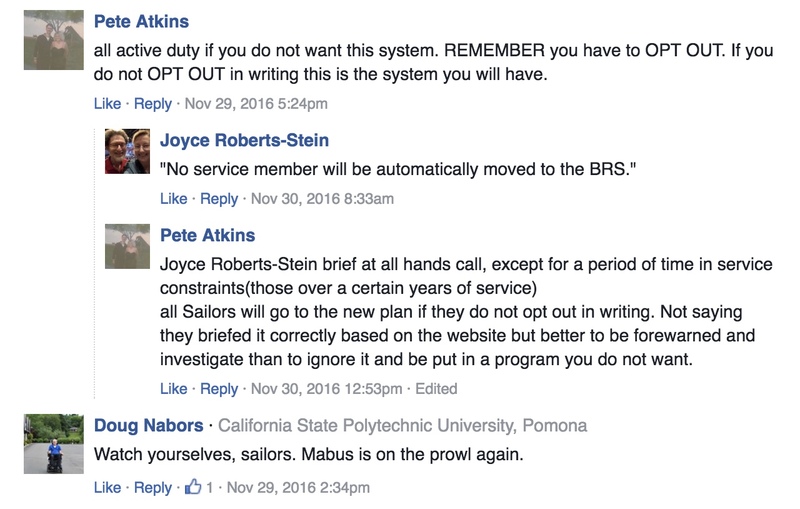 This actually goes against the many silly and uninformed comments found on the comments section of the Navy’s Offical Blog. It’s very entertaining to read what kind of asshattery is out there. Everyone has an opinion, and have hijacked the issue to push their own agenda. If the Blended Retirement system was a rip off then they would of forced everyone into the new system forcing you to have to opt out into the old system. This was another valid point from my Commander friend. It seems to be a lot of buzz out there that the new system is mandatory for everyone in the less than 12 year group, however it is quite the opposite. You must take the training and opt into the new system. The government hopes that your not paying attention and don’t opt in. This inaction would save them the 5% match for more people grandfathered into the old system. They would love to watch you leave the military without paying any retirement at all since it’s unlikely you hit 20 years. You have 757 days to make a decision, no pressure, yet. If we opt in on January 1st 2018 do we get 5% match starting that very month for the entire year of 2018? According to the official Navy Blog, the second you opt in, you will start receiving the 5% match as early as 01 Jan 2018 until your 26th year. Again you need to make TSP contributions of at least 5% of base pay to get the match otherwise its a crappy 1%. This might be a dumb question but I can’t find a solid answer anywhere and you might know. If I have bi-monthly pay set up for my basic pay does my TSP allocation only apply to the first paycheck or to the entire month’s value? It seems like it has only been using the first month’s basic pay value to contribute to the TSP. How myPay works is it calculates for the whole month, notice how the mid month pay is one of the deductions. It should take out the TSP with taxes and all that. This will go right to TSP, then it should divide by two to even out your mid month pay with the end of month pay.